This is my stop during the blog tour for Regina Shen by . This blog tour is organized by Lola’s Blog Tours and runs from 18 till 31 May. 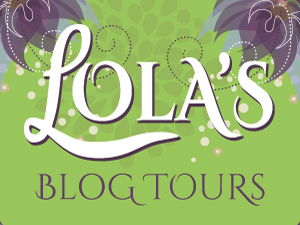 You can view the complete tour schedule on the website of Lola’s Blog Tours. 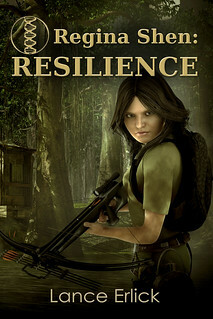 So far this series contains 2 books: Regina Shen: Resilience (Regina Shen #1) and Regina Shen: Vigilance (Regina Shen #2). Outcast Regina Shen is forced by the World Federation to live on the seaward side of barrier walls built to hold back rising seas from abrupt climate change. A hurricane threatens to destroy what’s left of her world, tearing Regina from her family. Global fertility has collapsed. Chief Inspector Joanne Demarco of the notorious Department of Antiquities believes Regina holds the key to avoid extinction. Regina fights to stay alive and avoid capture while hunting for her family. Although the future world that Lance Erlick has created is interesting, it’s a terrible world for the Marginals, or the people living in the swamp outside the wall surrounding the rest of the world. It’s survival of the fittest in the swamp. Resilience starts with a hurricane and the action never stops. Regina Shen survives the hurricane, bounty hunters, salvagers, the Department of Antiquities, alligators, and more. She’s smart, resourceful, and lucky. Other characters in the story are as complex as “real” people. It’s difficult to know who can be trusted. Regina feels like she can’t even trust her mother. And the Chief Inspector of Antiquities, DeMarco, has made it her mission to find Regina. But even she is full of surprises. Lance Erlick’s writing flows well and his descriptions are great. I felt like I was there in that hurricane with Regina or hiding in a cellar with rats and bugs (it makes my skin crawl just thinking about it). Regina Shen is pursued by the notorious Department of Antiquities for her unique DNA. She jumps the Barrier Wall into the Federation to find her kidnapped sister. 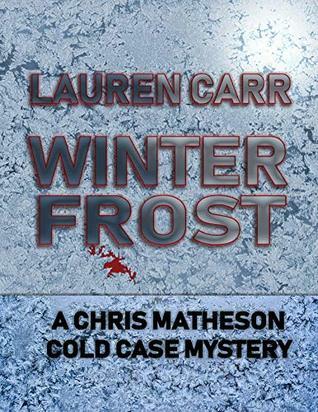 Stuck on a heavily-guarded closed university campus, she must use her wits to escape and rescue her sister without letting either of two rival Antiquities inspectors capture her. World: This takes place 400 years in the future after abrupt climate change has melted ice caps and flooded the coasts. Civilization collapsed and was replaced by a World Federation that suppresses knowledge from the past. Three-hundred-plus-year-old Grand Old Dames rule using a caste system. Regina Shen is an outcast condemned by the World Federation to live on the seaward side of Barrier Walls built to hold back rising seas. She is Chinese-Hispanic, tough, lives by her wits, and thrives on salvage from sunken cities, including illegal print books from before the Great Collapse. She also has unique DNA the Federation believes can reverse a worldwide fertility collapse. Regina doesn’t trust the Federation. Chief Inspector Joanne Demarco of the notorious Department of Antiquities polices Barrier Walls and destroys evidence from the past, including print books. Ambitious, she sees Regina as the key to securing her future. Inspector Vikki Volpe is a ruthless hard-core Antiquities agent who believes Demarco has gone soft and wants the chief inspector’s job. Book 1 (Regina Shen: Resilience): A hurricane threatens to destroy what’s left of Regina’s world. 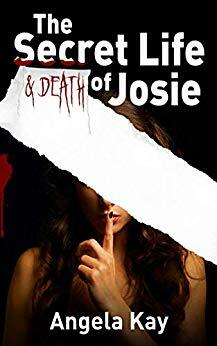 Separated from her sister, her mom, and her home, with Demarco in pursuit, Regina fights to stay alive and avoid capture while hunting for family. 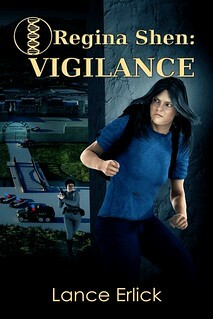 Book 2 (Regina Shen: Vigilance): Pursued by the Department of Antiquities, Regina jumps the Barrier Wall into the Federation to find her kidnapped sister, and winds up on a closed-university campus with heavy surveillance. Regina must use her wits to escape and rescue her sister without letting either of two rival inspectors capture her. Lance Erlick likes to explore the mysteries of intriguing worlds with interesting, often strong female guides facing and overcoming adversity as they try to change their world. He hopes readers will enjoy his writing as they discover different worlds, going places they may never have been. 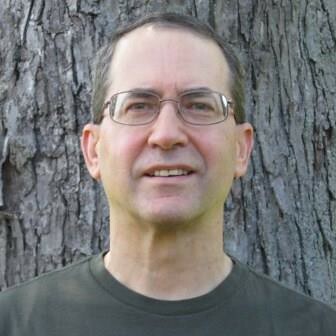 He writes science fiction thrillers, appealing to young adults and adult readers. He is the author of The Rebel Within, The Rebel Trap, and Rebels Divided, three books in the Rebel series. In those stories, he explores the consequences of following conscience for those coming of age. 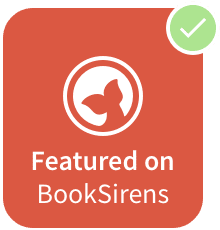 He authored the Regina Shen series—Regina Shen: Resilience and Regina Shen: Vigilance. This series takes place after abrupt climate change leads to the Great Collapse and a new society under the World Federation. A related short story is: Regina Shen: Into the Storm. Lance is also the author of unrelated short stories: Maiden Voyage and Watching You. There is a tour wide giveaway for the blog tour of Regina Shen. Thanks for the post and reviews. Glad you enjoyed. Thanks for the post and review. Glad you liked it. You’re welcome. I looking forward to the next one.